Well it’s nearly that time again! Nestled in Priory Gardens in Orpington, this fantastic free event celebrated everything from the 1940’s to the 80’s! 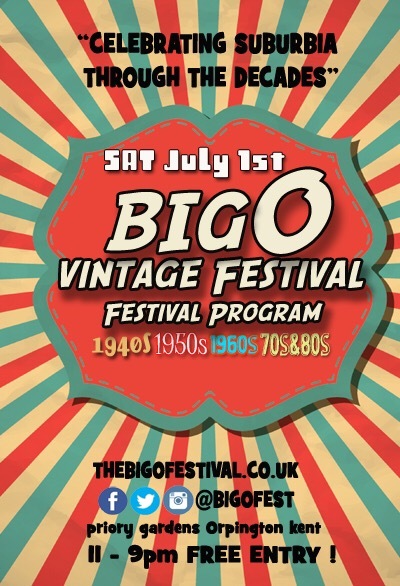 From vintage cars to fairground rides… entertainment to stalls and eateries, The Big O is a must for families. You can find out all you need to know HERE! Posted in Events and Performances and tagged 1940's singer, 1950's singer, big o fest, orpington, priory gardens, the big o vintage festival, vintage events, vintage festival. Bookmark the permalink.